It can be very stressful to find a job especially if you have a family that is depending on your income. Despite the challenges, there seem to be people who have a knack for finding the right job at the right time while others are struggling to get nowhere. Even though thousands of jobs are posted online and in newspapers, it can be incredibly challenging to find a job that is suitable to your specific needs, location and lifestyle and therefore those seemingly perfect positions have to be passed up. 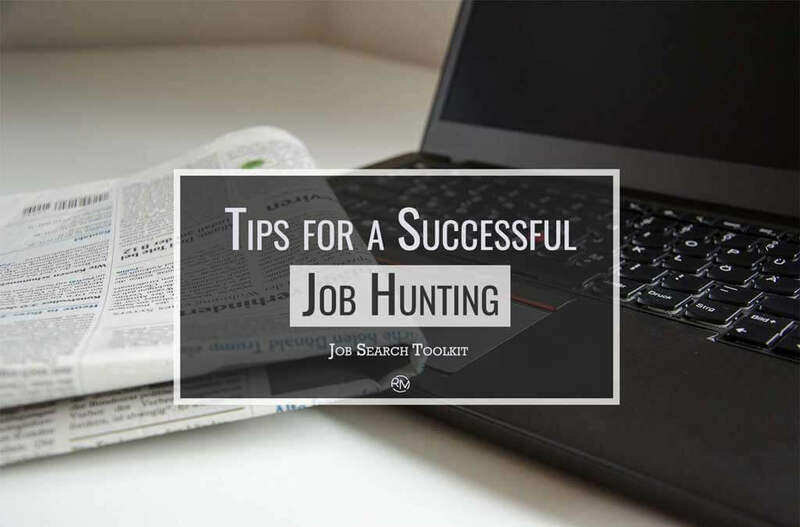 Never forget that the internet is full to overflowing with advice on all those things that people could do to ease the process of finding a suitable job, but you may find it hard to use it efficiently while job hunting. We here in Resumes Mag we did our best to make it simple as it could be, so let’s start stating tips for a successful job hunting. Some people have ideas when it comes to job hunting; they look through the job postings and mark those job postings, and then proceed to reconcile those opportunities to their training and experience. For a small number of these cases, this method might be successful, but we advise you that best thing to do is to focus first on your skills, training, and experience, then find jobs that fit those things. You can save a lot of time when you approach the job hunting from a position of strength; as you know what you can contribute, then you’ll have to find a job which needs your skills and experience. Another reason why this approach works best is the fact that job titles are being continually changing, and therefore searching according to job titles may not yield promising results, but when searching skillsets, this may yield more opportunities than you imagined. You may qualify for positions that you have not previously considered. The internet has revolutionized many things, and one of them is job hunting. People are no longer limited to traditional sources such as newspapers and the kindness of friends and family. The internet is now sharing thousands of opportunities such as job openings which are advertised directly on the websites of many companies. Another vital tool is job search platforms which are helping thousands of people annually to find their perfect job. However, job search engines do not merely yield as many opportunities as expected. Many job seekers are desperate or audacious enough to apply for every job which they come across, but this approach can waste a lot of time and energy. Searching only for those jobs which are in line with your Career goals and your expertise and training is a much better option. Why waste your creative energy on an interview and a selection process which does not have a high likelihood of succeeding. Use your best to do as much research as possible on those companies who seem to fit your profile and learn as much about them as possible. Why do people select this company when looking for employment and which objectives and values are this company pursuing? It is always helpful when you are acquainted with someone that works for that company because this can provide you with valuable information you may need. LinkedIn is an excellent online platform which allows professionals from across the globe to connect and to share all kinds of information. Knowing someone on LinkedIn or a real person working at the company can be of benefit to a job seeker. There are still many companies that will employ someone who is highly recommended by one of their employees. You may not get the job this time around, but at big companies, things are continually changing, and the same or similar positions may become available at any time. Therefore, keep your research regarding that company and update it frequently as possible. Maintain contact with your acquaintances at that company, and if at all possible do a training course or two (try to get the best out of online training portals) that will strengthen your chances of been employed at this company. Your knowledge about the company can help you to prepare much better for your next job interview. Many people make the mistake of using the same resume for all job applications. Or at least they are using the same resume for similar jobs in a particular industry. 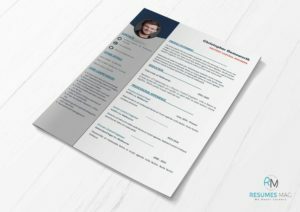 The best approach is still to put together a unique resume for each application. Skilled interviewers can tell the difference and therefore do not spoil this opportunity to make an excellent first impression. Many job seekers use cover letters to repeat things which they have already wrote in their resumes. The appropriate use of cover letters is to provide interviewers with additional background information about yourself; like who, and what you are, also the cover letter should state why you consider yourself to be a suitable candidate for this vacant position. Display confidence in yourself by talking boldly about future meetings, so that the interviewer will not doubt your intentions regarding their company. Sometimes a cover letter is not explicitly required, but as hiring managers stated, sending one has never hurt anyone, and in many cases, it has been that unexpected cover letter that has distinguished the applicant from among other hopeful applicants. Never come unprepared, because how can you expect to make an excellent first impression if you are not mentally, physically and emotionally prepared for that interview? Make full use of all available resources and research the company and all of its operations as thoroughly as possible. If you know the identity of the interviewer, try to find out who is that person and their personality before you go to the interview. Finally, we wish you a successful job hunting. I’m a Professional Writer with a knack for creating actionable career guides. I’m always happy to help those who are seeking enhancements for their careers.